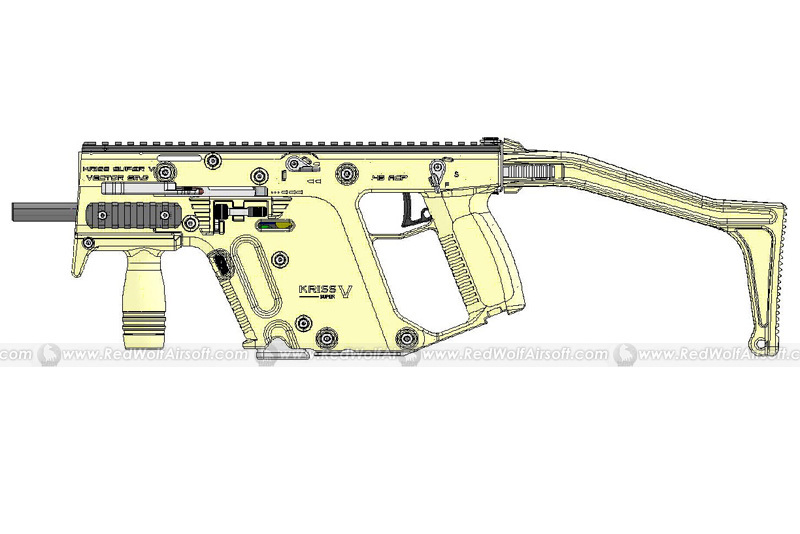 As you may be well aware, the TDI Kriss (TDI Vector) is currently a prototype .45 ACP submachine gun developed by Transformational Defense Industries. The gun benefits from using an asymetrical recoil and in-line design to reduce recoil and muzzle climb. 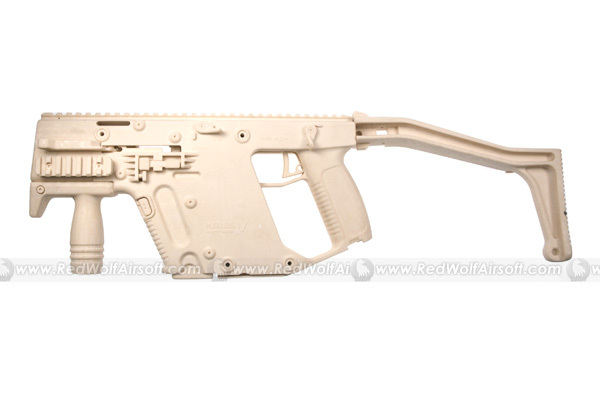 Also, some of you may also be aware that Madbull Airsoft are currently producing the airsoft version of the TDI Kriss, which was confirmed at Shot Show 2008. 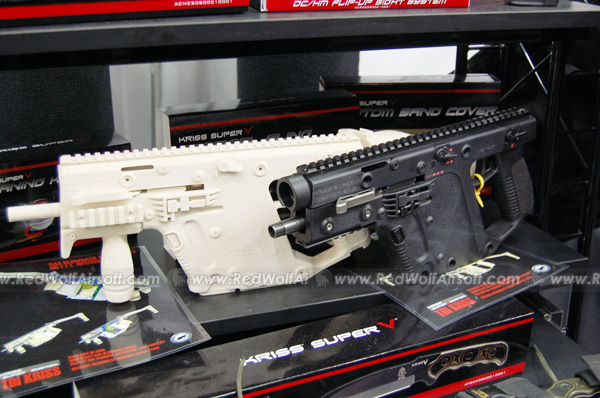 Currently, the models which have been displayed are non-working samples, although a working sample is expected as early as March - it looks like an airsoft TDI Kriss will be realised sooner than you think! We've got the chance to handle the non-working moulded of the TDI Kriss and Madbull appear to have got all the details done nicely with trademarks and markings in the right places. 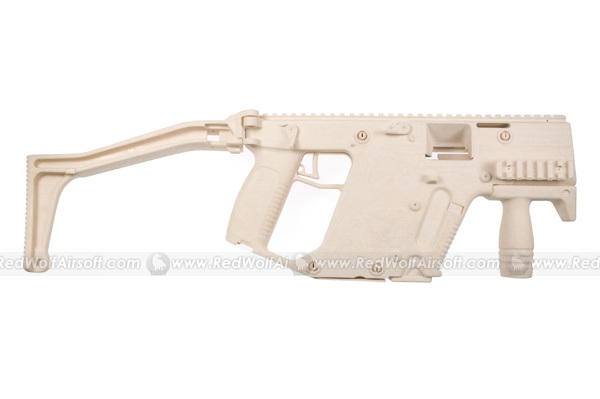 As Official Distributor of Madbull Airsoft Products, Redwolf Airsoft will bring keep you updated on the latest news and when we can get our hands on one. Stay tuned for more info!